A Dutch wedding can last from mid-morning one day until the wee hours of the next day. Dutch couples typically manage two guest lists. The first list includes their closest friends and family members. These "day guests," as they're called, will participate in every aspect of a Dutch wedding. The second list incorporates their wider social networks, to include extended family, coworkers, acquaintances, and others whom the bride and groom wish to include in the festivities. A typical Dutch wedding begins mid-morning at the bride's parents' house. Their day guests enjoy a light snack of coffee or tea and "small bites." Photos are passed around, stories are told, laughs and hugs are shared, and the bride and groom are made ready for the ceremony. Many Dutch brides follow the European tradition of wearing a white wedding gown, and grooms wear a dark suit or a tuxedo. The day guests typically dress in Sunday best, but formality is reserved primarily for the betrothed. If a Dutch bride wishes her day guests to dress more formally, she is advised to note her dress code on the formal invitations, as the norm is far more casual than most U.S. weddings. A Dutch couple is often seen together at these morning receptions, and typically all of those present will travel together to the ceremony venue. Holland is a secular nation, so the government does not recognize a religious ceremony as a legally binding marriage contract. Those couples who desire to be married by a priest or pastor must plan two ceremonies. The first is presided over by a government official, who spends time getting to know the couple before their big day. These civil ceremonies usually include music and readings by the bride's and groom's closest friends. They also include a brief account of the couple's love story, shared with guests by the officiant. Religious ceremonies typically follow the civil ceremonies and are routinely structured as a full church service. The pastor or priest will give a full-length sermon or message on topic to marriage, and the rites and rituals of that church's denomination will be observed in full tradition. A Dutch wedding ceremony, whether civil or religious, is typically an open event, where both day guests and the guests from the second list will attend together. After the ceremony, the smaller group of day guests will accompany the bride and groom to the reception venue. Those guests that are not a part of this intimate group will go home until after dinner. At the reception, the couple is seated beneath a canopy of evergreen boughs. This display of greenery is meant to symbolize everlasting love. Here their friends and family members toast the couple with champagne and share the wedding cake together. Following the toasts and gifts, a formal feast is then served at the same location. These feasts are one of the pivotal events of the day. Again, this part of the celebration is shared only with the couple's most intimate friends and family members. A main meal is served, often buffet style. In addition to whatever main courses are served, the traditional sweetmeats called Bruid suikas (Bridal Sugar) are served. Five pieces of this special savory pastry are arranged in tuule bags, to represent a hope of love, happiness, loyalty, prosperity, and virility. A spiced wine called Bruidstranen (Bride's Tears) is also served. In addition to the pungent spices, gold leaf is a customary ingredient in this special mulled wine. 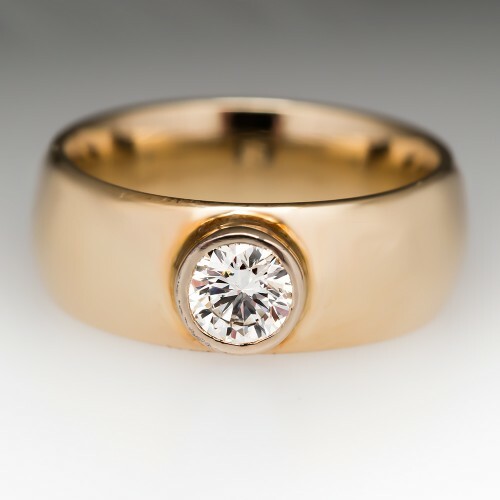 The golden flakes are meant to symbolize the tears of joy shed by the bride on her momentous day. After dinner, the tables are cleared and a dance floor is arranged. The music is turned up, and the bar is opened. The couple stands ready to once again greet their broader circle of friends and extended family. They kick off their shoes and start in with a proper Dutch celebration - a dance party with a festive air of joy and love and laughter. These parties are rumored to be among the best of the best and typically last until 2AM or later. Dutch wedding traditions focus on the simple pleasures of a couple's favorite stories, favorite songs, and favorite people. The bride and groom are celebrated all throughout the day, sent away on their honeymoon buoyed by the love and support of their friends and families. It all sounds so very lovely to me.